IMPORTANT NOTE TO PROSPECTIVE ACTIVATORS! The location described below while OK for chasing, is NOT acceptable as a location to activate from as there is a dip between the actual summit and this piece of land. 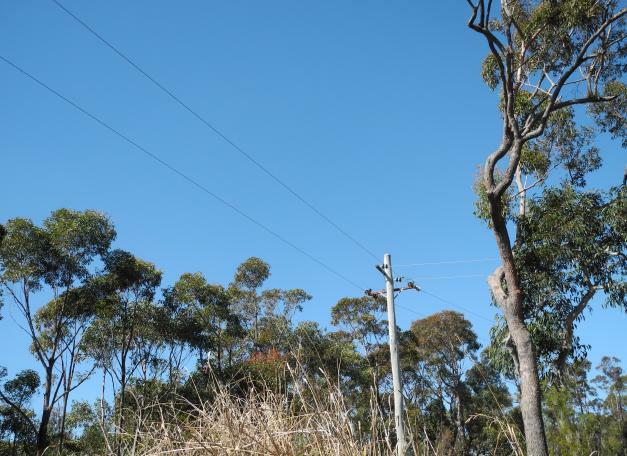 The actual summit is on private land and has a 33KV electricity tower sat on it – so you will need to find an alternative location within the activation zone. See the flooded to 25m from summit graphic below, as you’ll see there “ought” to be more options back towards Canoelands itself. With all regions of the VK2 association now submitted by Andrew VK2UH ( thanks Andrew ) to the SOTA Management Team in the UK for verification and acceptance, I decided it was time to check out another likely (easy) future SOTA summit “close” to where I live. Close is relative when it comes to roads outside of Sydney as while the summit is not so far away from my home as the crow flies, it takes 1.5 hours of hard driving with no traffic jams to get there. 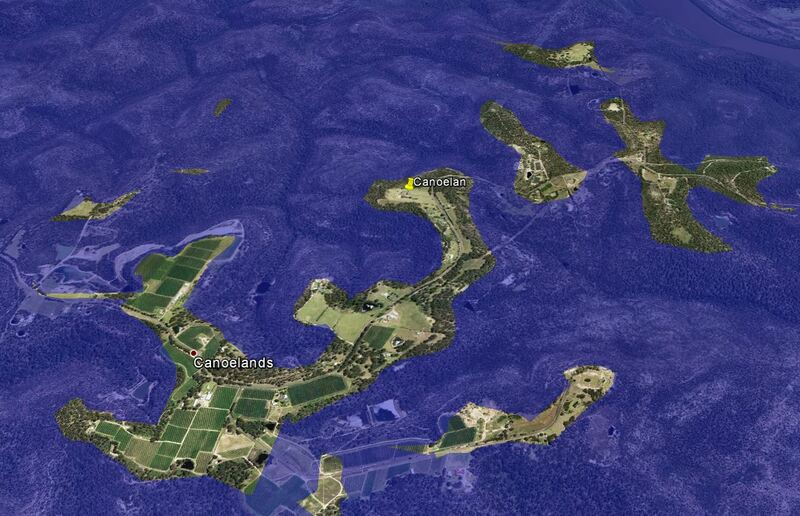 Canoelands Ridge is in the Marramarra National Park. Before going, I took a good look at the summit and it’s access using Google Earth, Google maps and the NSW governments SIX maps. As it turns out the actual summit is on private ground right where the 33KV electricity feed comes across however the height difference from the road (which runs along the top of the ridge) to the summit is marginal – in fact looking from the road you cannot see any height difference to the actual summit. This means that under the activation zone ” within 25 vertical metres” rule almost anywhere along side the road is acceptable. Here is the next problem however as all of the houses in the area have their nicely maintained gardens going right up to the road side, so a simple pull-off is not possible. After going back to Google Maps and using “street view” to “walk” along the road, I found a likely spot on a junction from Canoelands Road with a smaller (unnamed) road which occurred before the road started to drop in height (Google Maps references this as No. 61 Canoelands Road for any others who may look for this spot in the future). I decided this is where I would head for and if not suitable continue my search from there. Luckily this spot of waste land with it’s dumped wood and barbed wire was where I expected it and indeed suited the purpose. I drove about a kilometre in all directions from this spot and found nothing better, so I set-up there. 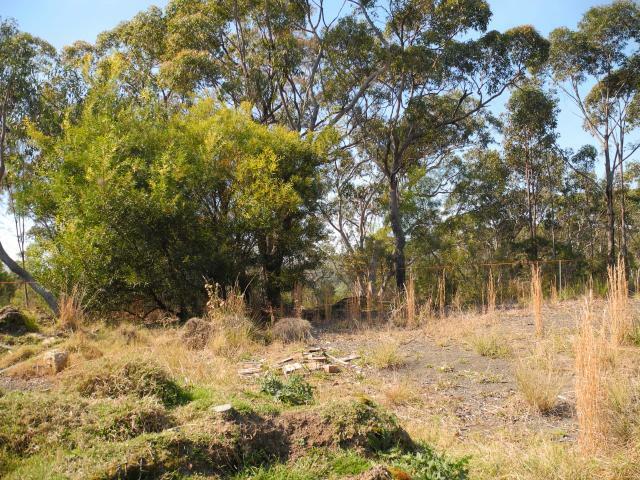 This waste land was crossed by 440V power and telephone lines (as you will see in one of the photos below), luckily however these caused no interference and in fact this site appears extremely RF Interference clean. As this was only a “reccy” and a chance to chase a few VK1 & VK3 activators, I drove to site and didn’t perform a walk out / walk back into the activation area but this will need to be considered when it is used as a SOTA summit as to drop 25m vertically using the access tracks would probably entail walking 10 kilometres or more ! I had headed out early leaving home at 7am to be set-up in-time for the first activators that were scheduled for 9:30am local time. Well they were a little early but so was I due to finding the site without issues. My first contact was with Al, VK1RX/P on VK1/AC-030 with an amazingly strong signal. Following Al I called and worked several other activators (see list below) three of them both before and after UTC change-over. 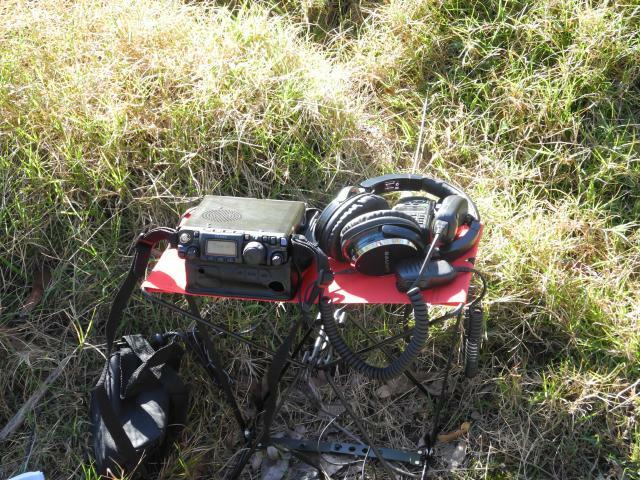 It’s amazing what can be done with QRP and a good site, as I realised later. You see I had caught the power setting on the FT-817 and even though I had an external battery connected, the rig was in fact only putting out ONE WATT for the first 6 contacts and when I realised something was wrong, I changed the setting, to what I thought was 5W but after arriving home, I found that in fact my 7th, 8th and 9th. contacts were still not at “full” power as the FT817 was in fact set to 2.5W output at that stage. 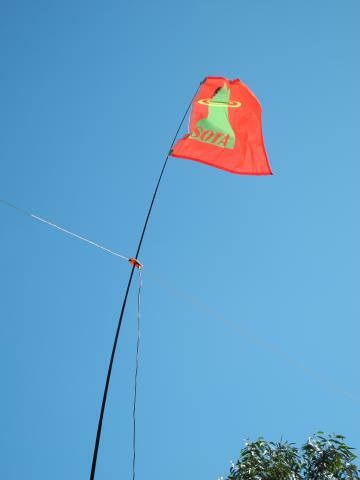 The rest of the equipment used was a 6m squid pole, a SOTABeams linked dipole antenna and of course the SOTA flag – now modified by soldering Alligator clips to it so that it clips easily to the top section of the squid pole. 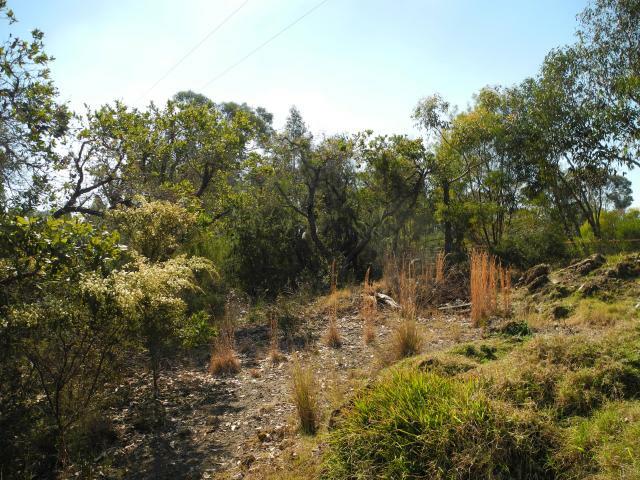 Canoelands Ridge – Scrub land. 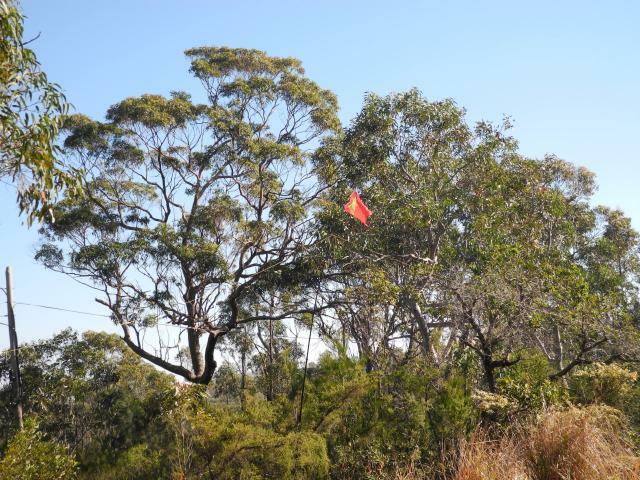 Canoelands Ridge – SOTA Flag flying! Canoelands Ridge – Equipment “table”. 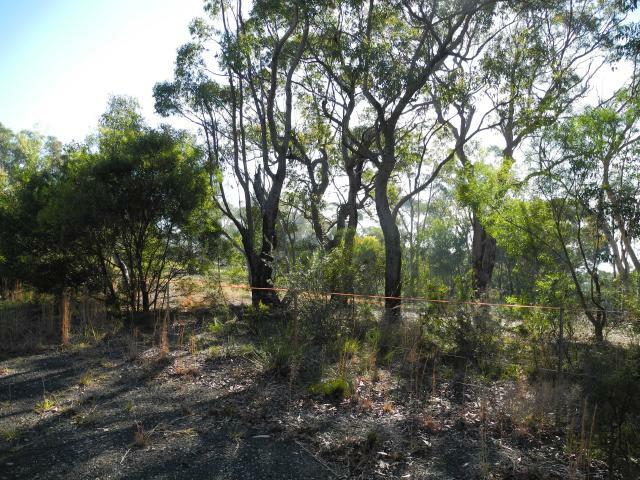 Canoelands Ridge – view to bush in the direction of the Hawkesbury river. Canoelands Ridge – lots of trees – possibilities for other antenna set-ups? Al VK1RX/P with Andrew VK1NAM on VK1/AC-030 Mt Yarara (twice, once before and once after UTC change-over). 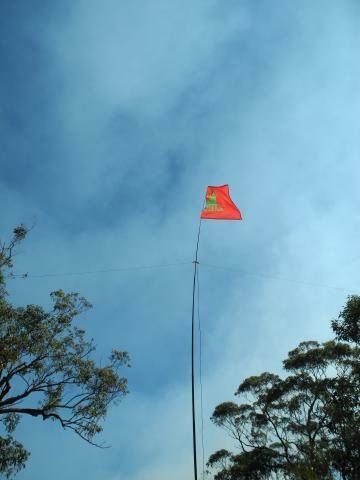 Allen VK3HRA/P on VK3/VE-230 Mt Glenrowan (twice, once before and once after UTC change-over). Peter VK3PF/P on VK3/VT-065 (No name mountain) (twice, once before and once after UTC change-over). Thanks to all the activators that were out today – those above that I worked portable and the others that I managed to catch when I got home.